The combined Russian-separatist forces attacked Ukrainian army positions in Donbas 63 times in the past 24 hours with two Ukrainian soldiers reported as killed in action (KIA), according to the press service of the Anti-Terrorist Operation (ATO) Headquarters. In the Mariupol sector, the militants used banned 152mm artillery systems, tanks, infantry fighting vehicles, rocket-propelled grenades and small arms to attack the village of Shyrokyne. What is more, banned 122mm artillery systems were used to shell the village of Talakivka. "The occupiers used mortars of various calibers to attack the town of Krasnohorivka, and the villages of Lebedynske, Talakivka, and Vodiane. They also fired rocket-propelled grenades and small arms on the villages of Novohryhorivka, Hnutove and Pavlopil. 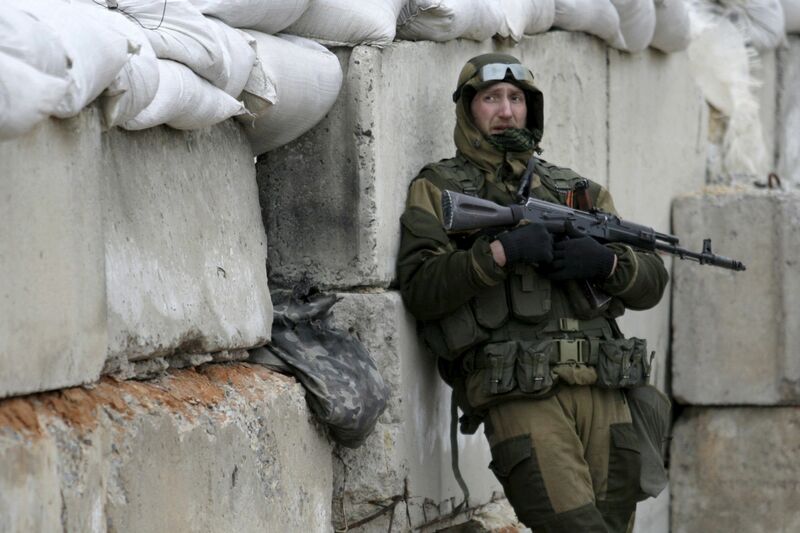 Additionally, a sniper was active in the village of Novotroyitske," the report says. Read alsoUkraine reports 1 KIA in past day as Donbas militants use Grad, tank against ATO forcesUsing Grad multiple rocket missile systems in the Luhansk sector, Russia's hybrid military force attacked the village of Novozvanivka and lobbed 20 shells onto the Ukrainian positions there. The militants also used banned 122mm artillery systems there. The town of Popasna and the villages of Krymske, Novotoshkivske, Novozvanivka, Vodiane and Novo-Oleksandrivka came under 120mm and 82mm mortar fire. In the Donetsk sector, the enemy used mortars of various calibers, firing on the Ukrainian positions near the town of Avdiyivka, and the villages of Verkhniotoretske and Zaitseve. Furthermore, the militants opened fire from grenade launchers of various systems and small arms on Avdiyivka, and the villages of Novhorodske and Kamianka. "Two Ukrainian soldiers were killed in the last day," the headquarters said in a casualties report for the past day.